Abbott S500-12 Thermobrite Statspin Slide Hybridization/Denaturation System . New Life Scientific, Inc. 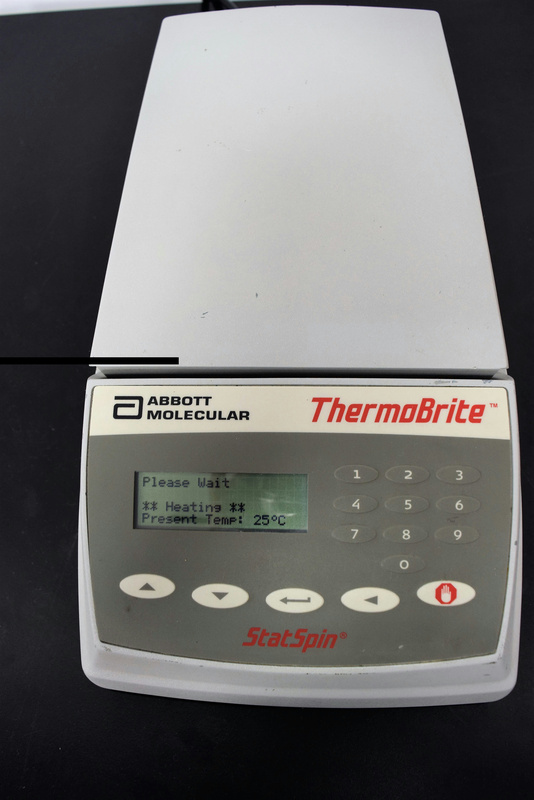 The ThermoBrite System is an easy, safe programmable temperature controlled slide processing system for in-situ denaturation/hybridization procedures. Our on-site technicians visually inspected and upon initialization the device prompts to heat up, but no heating actually occurs. Therefore we are selling it for parts or a possible rebuild.